We’re delighted to announce that we’ve team up with ingogo, the award winning mobile-based Australian taxi booking solution. The new partnership enables ingogo travellers to automatically expense their trips when travelling for work, seamlessly uploading ingogo receipts to Fraedom for easy expense tracking and reimbursement. 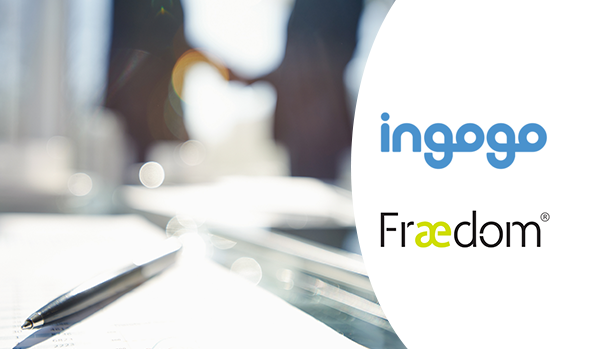 Setup is quick and easy, with ingogo customers simply selecting Fraedom as their expense provider when creating their ingogo account. Company administrators can start an ingogo business account and invite the entire team to easily monitor ride expenses and, at the company’s discretion, the integration equally supports individually or centrally reconciled payment approaches. ingogo provides simple and effortless solutions for businesses and their employees, designed to reduce costs. The company’s fixed fare scheme, uses smart algorithms to calculate the most cost-efficient route at the time of the passengers booking, which on average saves businesses 20 per cent on all taxi travel expenses.